Welcome to our downloads page. Here you will find various free downloads including tools, tutorials and even a full accounts package! Don't forget to check back often so you don't miss out on some really useful free downloads. The Accounts Guardian simple accounts software package was designed with an accountant to save people time and money by keeping their books in order. It does not contain complex features or accountancy jargon. What this simple accounts software package does have is functions that most people genuinely need and it is very easy to learn and use. 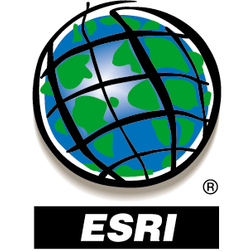 If you have geographic data stored in an Esri ASCII grid, this tool will convert it into an Access database table. The tool is an Access database using VBA. Sports Scores and Leaderboard Tool - although it was originally designed for golf, it could be used for many other sports too. It is a fully-functioning leaderboard that can rank scores in ascending or descending order depending on personal requirements. It was also made to be used on tablet versions of Excel so includes no programming. This tool was created by a work experience student.